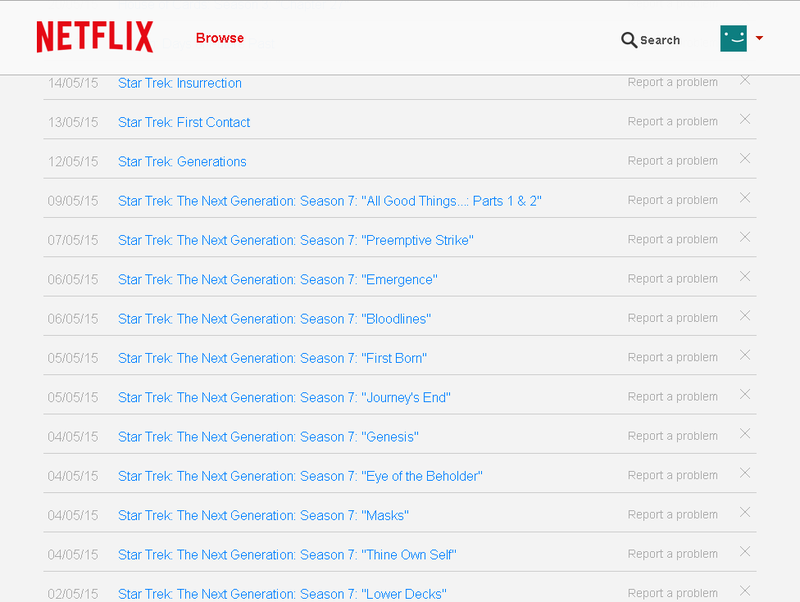 Tracking Netflix Usage - The easy way with Python! 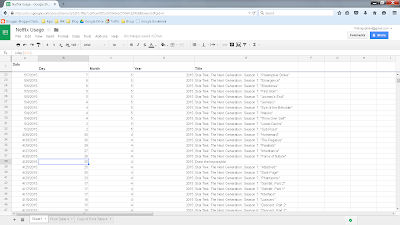 Previously, I'd generated some rather elaborate google doc spreadsheets to study my Netflix usage. 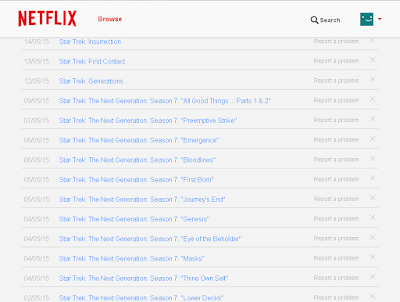 This involved, copying and pasting the "Viewing Activity" listed when you login to your Netflix account, and many many fancy formulae to process the text. There is, a better way. At a recent family event, my brother-in-law said he was reading this book, Automate the Boring Stuff with Python. The complete book is available online, and it's designed to be a book for non-programmers to write short scripts that eliminate tedious typing and clicking tasks. As a programmer, who isn't familiar in particular with python, I've found the book to be a great introduction to python. One of the best things about it, is some of the powerful tools, like regular expressions, and the useful projects and practice programming assignments in the book. So What Does This Have to Do With Netflix? Now we've got charts, and graphs, and data for analysis. 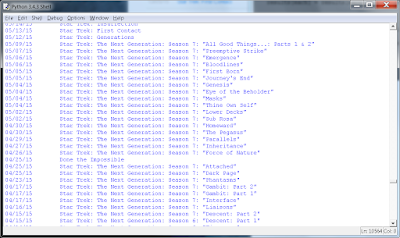 While I can only get number of items watched, and not duration, this still gives us something useful especially considering it took almost no time to generate this. The python logic, in a very few lines, converted the day/month/year, and removed all the non-relevant text from the website. 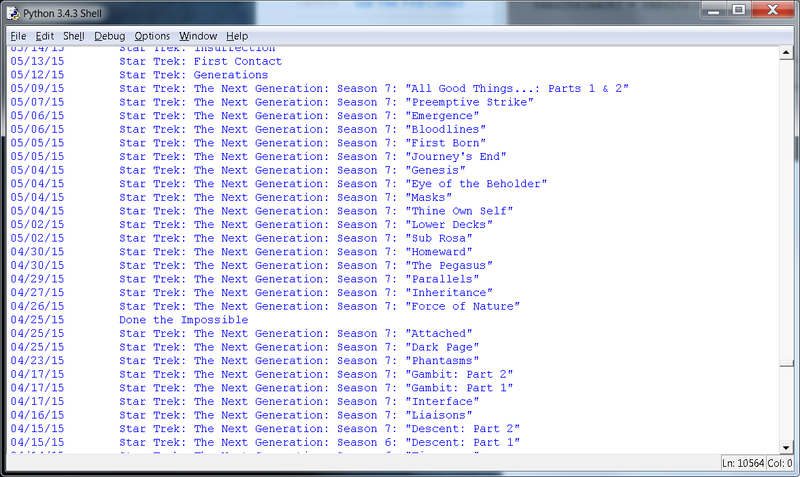 In only a few minutes to write the script, it made the whole process of generating this much easier. Renting - Worth another look? This is the second in a series of articles about Housing as a Service. 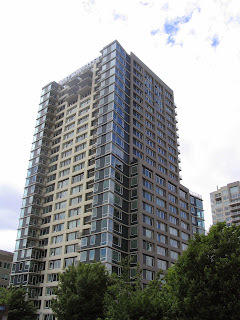 Recently my wife and I sold our condo and started renting again. 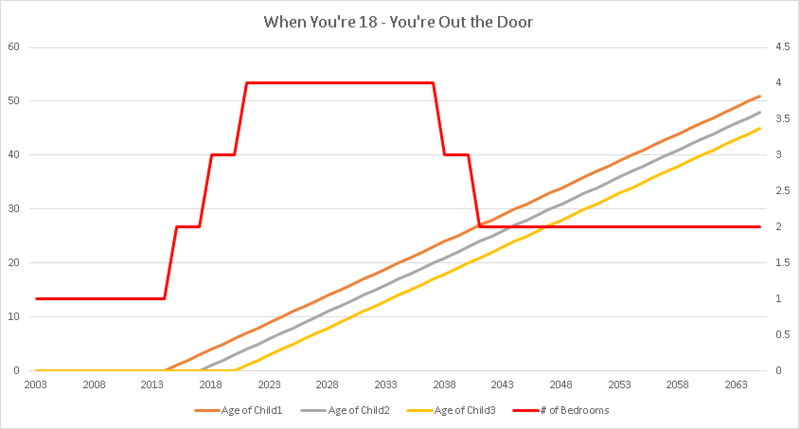 I believe everyone over the age of 30 at my work owns their own home. Everyone in the local Toronto area, that I took engineering with owns their own home. However, reading other blogs, and my own recent personal experience, has me wanting to research renting more. 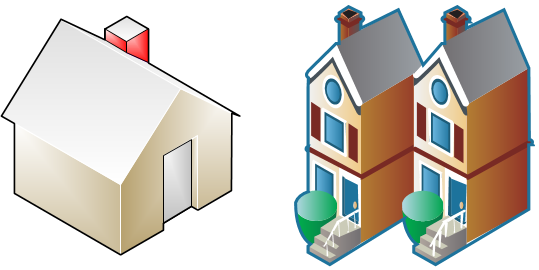 How much house do you need in life? Did you buy as big a house as you could afford in the area you wanted? This is a pretty common behavior. Do you really need that space, for all of the time that you have it? 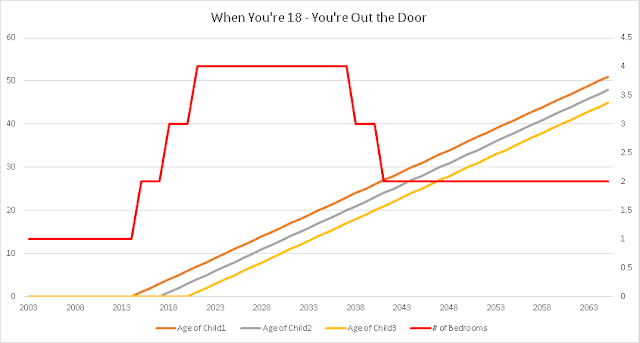 This graph is initially based on my own life, where I lived by myself from 2003 until 2012, albeit I had a 2 bedroom dwelling because I drank the real estate "Buy as much as you can" Kool-Aid. As you can see, your housing requirements definitely move up and down throughout your life. Again, it may be a luxury for each child to have their own bedroom, but let's start with this as an assumption. 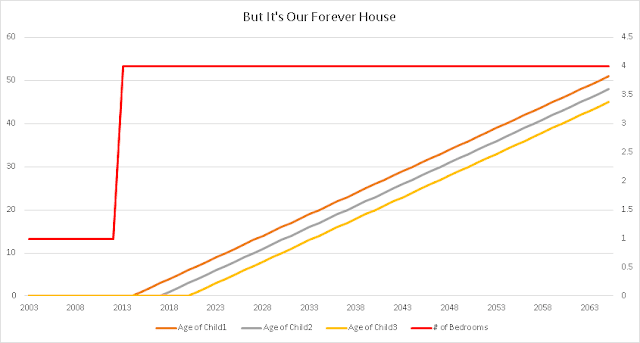 Below is a graph of what many people do who buy their "forever" house. Of course, the problem with a forever house... is you're buying enough space to last you forever, whether you need that space right now, or later once your kids have moved out or not. We can't move once the kids are moved out, this is home! How Does Renting Make a Difference? 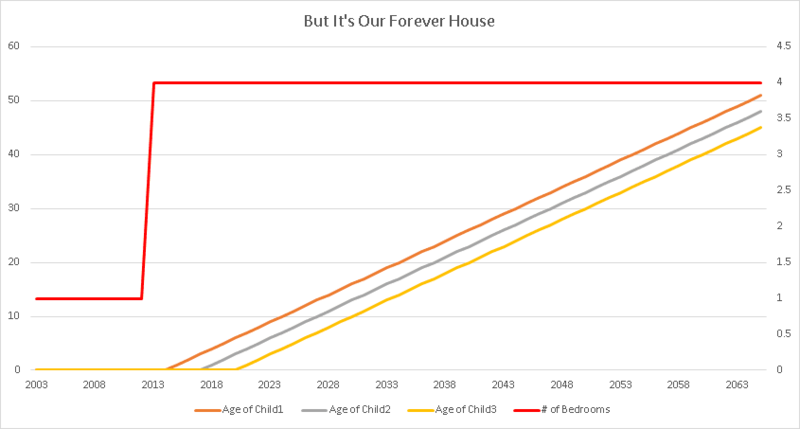 We've just seen, that a "Forever Home" is inefficient because you are carrying a lot more house than you need. This leads to higher costs for cleaning, maintenance, and property taxes. If you consider that a home is "wearing out" or needs to be completely renovated regularly to not look dated, then owning more home than you need just means you have more to renovate! The much lower transaction fees, make it possible that you would move as you need more space and as you need less space. The second reason many people have a "Forever Home" is they are emotionally invested in the home. Many refer to this as the "Pride of Ownership". When you're renting, it's much harder to get emotionally attached because it's not your property. While you may become attached to the community you live in, the house isn't yours and you know it. You're also unlikely to do any renovations on a property that isn't your, so by not being able to completely put your own personal stamp on it, you don't become as emotionally attached. Renting drastically lowers your transactional costs, which makes it concieveable you would move to a larger home as you need, and a smaller as your children move out on their own. Renting also reduces the risk of emotional attachment to a home, which reduces the chance you remain in a place much larger than what you really need. Save Money / Time / The Earth Itself! Well, maybe I'm exagerating slightly, but if you just want one serving of something, why make more? These mugs provide all the advantages of single serve coffee, except in tea form which a much lower cost than a single serve coffee machine. Cleanup is also easy, since most of these mugs go in the dishwasher! Completely automating your cleanup. In my house, we actually bought three of these mugs because we don't run the dishwasher everyday. 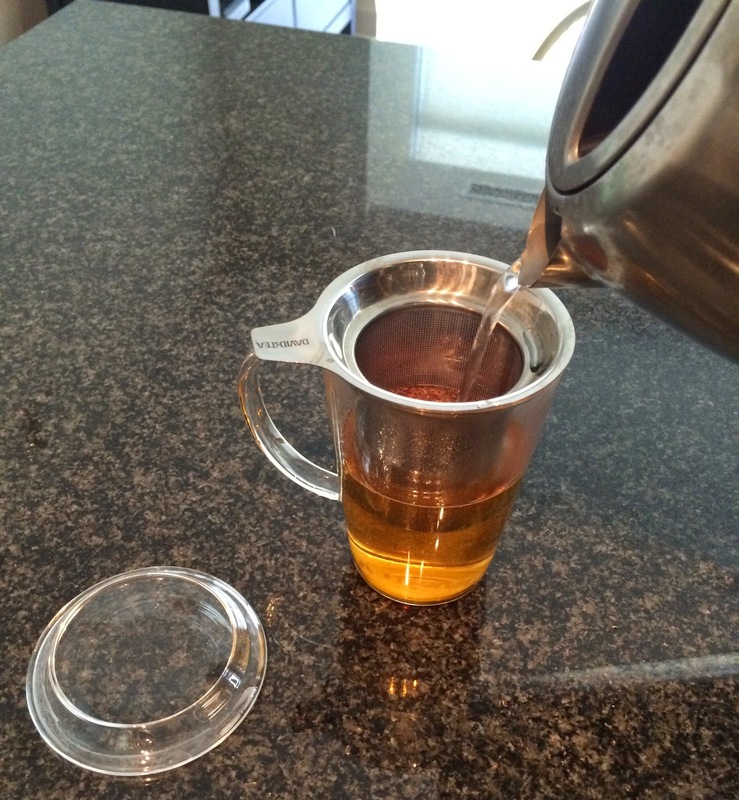 Each mug has a stainless steel infuser and a lid. The infuser keeps the loose leaf tea inside the cup, but let's you lift it out when the tea has finished brewing. 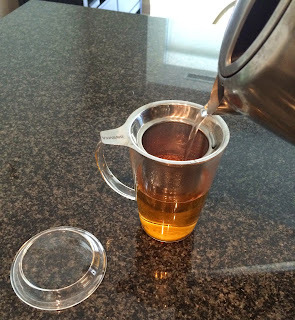 The lid, let's the tea stay hot when it's brewing and also acts as a place to put the infuser after you're done. Here's a picture of my dishwasher, with both the David's Tea mug, as well as a teapot and conventional mug. As you can see, the spout from the teapot takes up considerable space. This isn't completely accurate, but it gives you an idea. 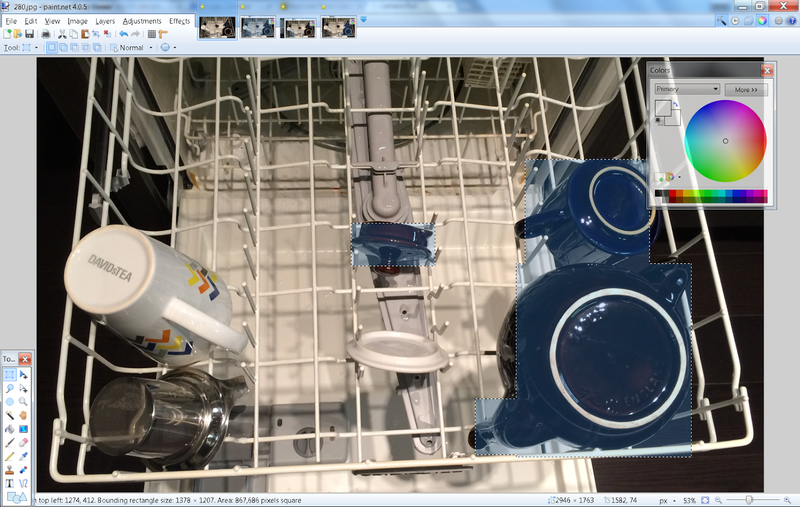 Similarly, by selecting the teapot, the area is 870,000 pixels, almost double!! 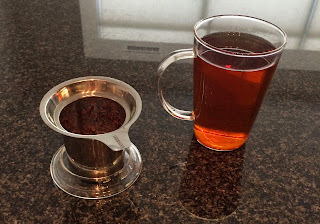 Clearly, the David's Tea mug is a winner for more compact dishwasher storage. If you live by yourself, or if fairly often only one person in your house wants tea, then consider a mug with an infuser. This let's you only use enough tea, and hot water for one person, while the user of a dishwasher safe mug automates cleanup. 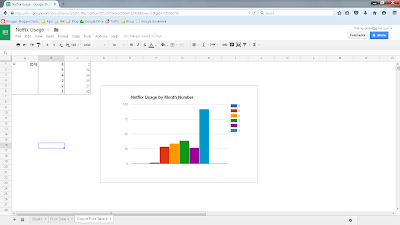 A growing and growing trend in software, is Software as a Service (SaaS). While it's a little old, there's a good high level, non-techy White Paper by Grant Thornton here. Microsoft's Office 365, which is a subscription based service that runs partially in the cloud, is an example of SaaS. So now, just to get the sales tracking software that you wanted for your sales people, you have to have an IT department which maintains servers and has to have somewhere to physically put these servers. If for some reason you need to have more users accessing the software then maybe you need to go out and buy more servers. 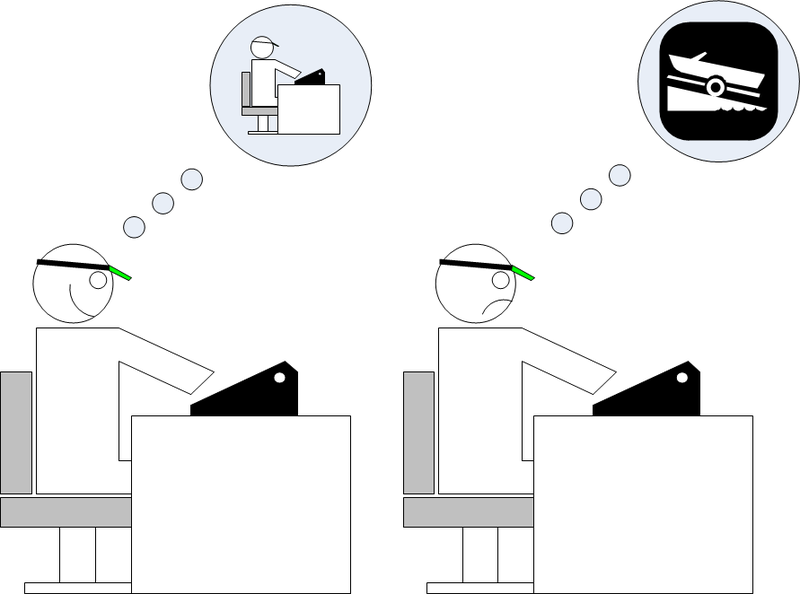 What if you don't have anyone who knows about computers in your company? Or you don't care? All you really wanted was some sales software and now you've got a full IT department in your company. IT may not be a strong point of your company, but now your company's success may hinge on how well your IT department can deliver. The modern solution to this, is software as a service. Instead of hosting the software on your computers, the software company runs it on their computers. This is most likely done over the Internet, so continuing with our sales example, all you have to do is give your sales people computers that can get on the Internet and from there you just pay a monthly fee for each person who needs to access the application. If you company needs to rapidly expand no problem, just call up the software company and tell them you need more accounts this month. You don't need to worry about your existing server capacity, or whether you have enough IT people to keep it all going. You also don't need to worry if you've bought 500 copies of the software for your 500 employees, and then after layoffs only need 380 copies, leaving you with 120 licenses that you paid for but aren't using. By paying for things as a subscription, rather than buying licenses outright, you can add and remove licenses as needed. If you decide that you don't like the software and want to switch to something else, you haven't invested in it beyond a monthly fee. You haven't spent thousands buying software licensing, and aren't necessarily financially locked into one vendor. You leave the IT heavy lifting to the software company, rather than having to do as much (or any) of it in-house. This lets you stick with what you're good at, and have the ability to rapidly expand (or contract) the amount of software you're buying. 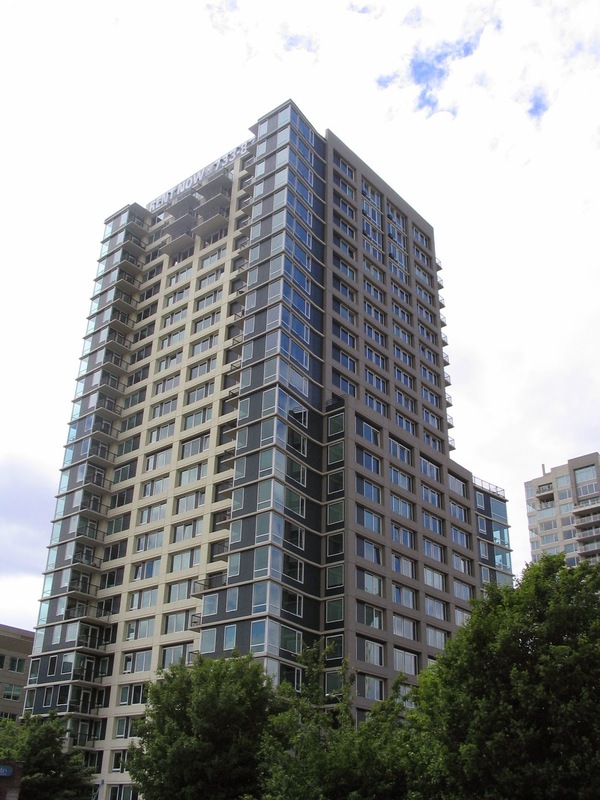 Canada, specifically Toronto and Vancouver are in the midst of a real estate boom. In Toronto, where I live, the average home cost is now $601,500, with many first-time buyers unable to get into the market without help from their parents. Anecdotally, I've heard radio ads for house flipping seminars, and all the young people (23 year olds) at work are dying to enter the real estate market. Two 23 year old guys at work, who aren't romantically involved, are looking at buying a house together to make it more affordable. Another young guy at work, says "why would I need a tax free savings account? I want to buy a house". Interest in real estate is very high versus other types of investment. The conventional wisdom seems to be: "renting is throwing your money away". This is the first post, in a series on HaaS. For some of the same reasons that it makes sense to buy Software as a Service, shouldn't it make sense to buy HaaS? What are the maintenance costs associated with owning a home? Are these high for you to keep your one home, but low for someone who would have economies of scale by maintaining many properties/dwellings? Is maintaining a house something that's very far outside of your core competencies? Like our example of a sales organization now having to add IT just to get sales software to run, is keeping your home together something you're really not good at, so it costs you more and you wind up doing a poor job? 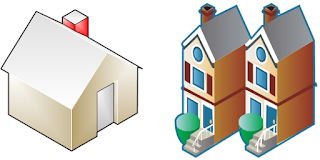 Does owning prevent you from scaling up, or scaling down your housing needs as required? Does owning prevent you from changing housing when you want to? Due to bad neighbours, job change, traffic changes, etc. What about some of the risks and issues with HaaS? Your housing is now 100% provided by an outside service, what if they don't respond to maintenance issues? What other risks are there? What happens if your landlord goes bankrupt? Is there an inability to customize as much as if you owned the place? How important is this? I'd like to claim credit for this one, but this is purely my wife's idea. We've been blessed with a baby girl, and we wanted to get her a mobile. After much searching, my wife picked the Freddy the Firefly mobile. It seems obvious, but if you put yourself in the baby's perspective, lying on the crib looking up, then a 2-dimensional mobile makes perfect sense. Our daughter really loves looking at it, both when it's active and the wings move up and down, and when she wakes up in the morning and it's not moving. However, looking at this mobile from the side view, it's somewhat lacklustre. If you were a parent, and you saw one on display in the store, you might ignore it. If you climbed under it and looked up, you'd agree with our daughter and think it's awesome!!! My wife and I purchased a "Freddy The Firefly" mobile via eBay because it was not available in Canada. My baby daughter very much enjoys the mobile. I'm actually preparing a review of the mobile on my website, www.findingoptimal.com. The mobile is much better designed, than many because a flat 2-dimensional design works perfectly when viewed from below by a baby. This is a great example of user design, and paying attention to the end user's ergonomics. When I go to Amazon, it says that Freddy the Firefly has been discontinued. Looking at your new mobile, Shearamy Sheep Sleeptime Mobile, it seems you have gone away from the 2-dimensional, baby view approach. Is this true? Thank you for your inquiry David. 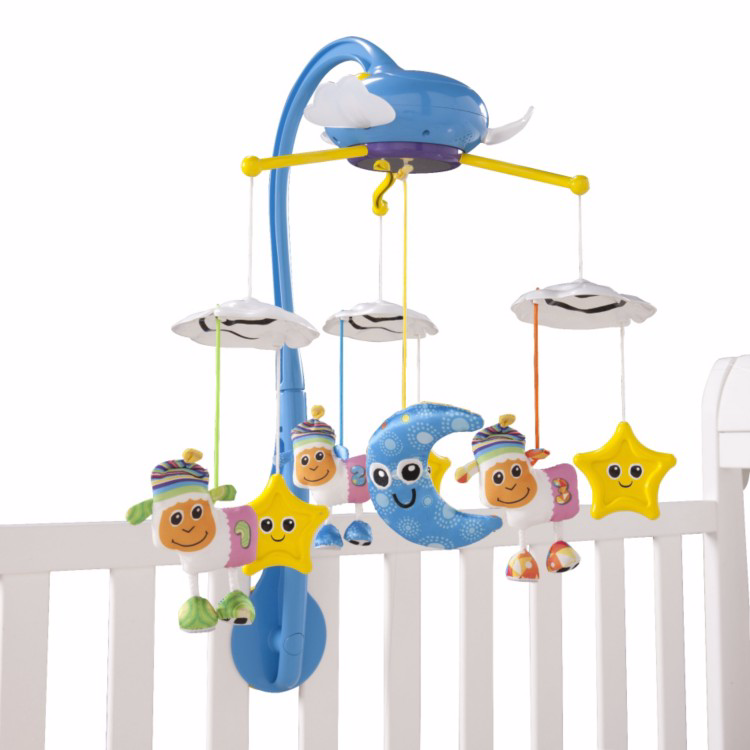 The Freddie Firefly mobile was sold out in January 2014 and unfortunately we no longer have any units available anymore since it is a discontinued item. The people at TOMY Toys are smart. It's their business to make the right toy, that will sell the best. I'm sure there's lots of research and careful effort spent on deciding what product to make. If they've chosen to change their mobile design, it's because it's right right thing to do, to sell more mobiles. So next time you're making a design decision, consider whether it will be appreciated by the buyer or by the end user - especially, in the case of a baby, if your end user can't speak!! eReaders and the Library - Save time and money! Yes, that's what downloading a book from the library for your eReader will feel like. It'll feel like Star Trek. It'll feel like you're in the future saying: "Computer, get me that new book by Tim Ferris". Imagine, being able to get a new book, with a few clicks, for free, delivered near immediately to a device that has a battery life of weeks. Not only that, but an eReader is comfortable to read on for hours and hours without an eyestrain. The future is here, or at least it's been here for a while, but just now I'm getting around to telling you about it. Why Would I Read Books? I have the Internets? When I tell friends and colleagues about the amazing world of eReaders and public libraries, I'm surprised at how little interest I get. Most of my friends either claim to "not have the time" to read, or prefer to surf the web. I'd challenge the time part, since most people are probably able to find time to watch television or use alternate media. If you can't find the time, then perhaps an eReader can help you Make The Time, through clever use of a satchel. If the websites you're reading are 500 words, or 1000, even if you read many of them, how in depth can the author ever get? If (1), doesn't this mean you're only ever getting snippets of information? If it takes you 30 seconds to read a webpage, but 5 seconds to find it or to browse from the last page to the next, aren't you spending 5/35 = 14% of your reading time finding the next thing to read? If (3), then wouldn't you have all of that time back if you found a book and spend a continuous 3-10 hours reading it? Do you believe that you don't know what you don't know? If (5), then isn't there great value in reading a large amount of material, that's been sorted, and ordered by an author, over a period of months or years to get it just right? Perhaps I haven't persuaded you, but consider these points, books are pretty awesome and an eReader makes books even more awesome. Before going out and buying anything, check that your library support eReaders. If it does, confirm what type. The Toronto Public Library doesn't support Kindle, but does support Kobo or any device that reads ePub format. So, if you're going to be reading much, I recommend an eReader. I have been very happy with my Kobo eReader. I actually have the original, first generation Kobo, complete with a button to turn the pages. It's not fancy, and newer models, including inexpensive models, are much better, but it gets the job done. If I can be happy reading on a 2010 reader, then you'll find any modern device great. You'll need an active account at your library, google how to do this. In Toronto, you need to go to the library with a bill or something with your Toronto address on it. The Toronto library's online download website is called Overdrive. here's getting started guides here and other resources available. Check books out 24 hours a day, 7 days a week. So you're not constrained by the hours physical libraries are open. Read books on a device that's lighter and smaller than a book. There is a Kobo Touch model for $79 , although it's no longer in stock on the Chatpers.ca website. Higher end models like the new Kobo Glo HD are $129. Either way, the advantages of eReading definitely outweigh the costs. 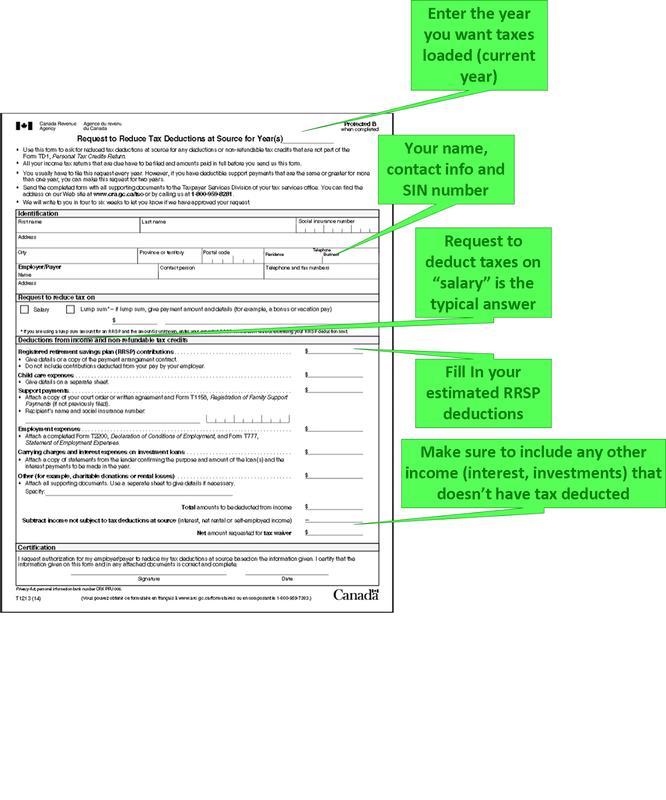 Well, it's tax time in Canada again, so here's one last tax related article for a bit. My family and I have been using UFile for over years now and for $20 to do 4 returns, it does save a lot of time. Prior to this, my parent's, and I all filled out paper forms, which involved lots of calculation by hand and transposing numbers from page to page. Ufile by contrast, is more like a "wizard" where you click next over-and-over, answering interview questions and entering information from paper tax forms. Unfortunately, using a "wizard" to enter tax information, doesn't let you see how things work under-the-covers. The credits for charitable donations are a perfect example of this. Before reading too much into this, please note that if you choose to donate investments (stocks, mutual funds, etc.) it can be much much more efficient than donating cash. That said, let's get started. Please also note: I'm not a tax professional, there are some other wrinkles to this material, like limits on the maximum amount you're allowed to claim as a donation (if you start donating a large percentage of your net income). Do you own research or talk to someone else if you're making very large donations. I'm also ignoring the "First Time Donor Super Credit", because I'm assuming you've donated to charity once within the last 7 years. So, the cash donation credit is only 15% on the first $200, but larger on the subsequent money. Therefore, it is a lot more efficient, which allows you to donate even more or pocket the difference, to make fewer, larger donations to charity rather than regular annual donations. Each year you donate, the dollars in the first $200 are generating a credit (29%-15%) = 14% less than they would if those dollars were part of a larger donation. In this example, you have 4 years of $200, that are going to make 14% more credit than if you donated every year. That's a total of $112. It costs 11% less to donate $1000 every 5 years than $200 per year. That's quite a savings! What If Everyone Shared Their Feedback? Wouldn't the world be a better place if everyone shared their feedback? Yes, those website feedback questionnaires, and the telephone number at the end of your McDonald's receipt sometimes are annoying, but what if everyone filled those out, truthfully, all the time? Wouldn't every product, and service potentially be better? Wouldn't government work better with an engaged citizenry? 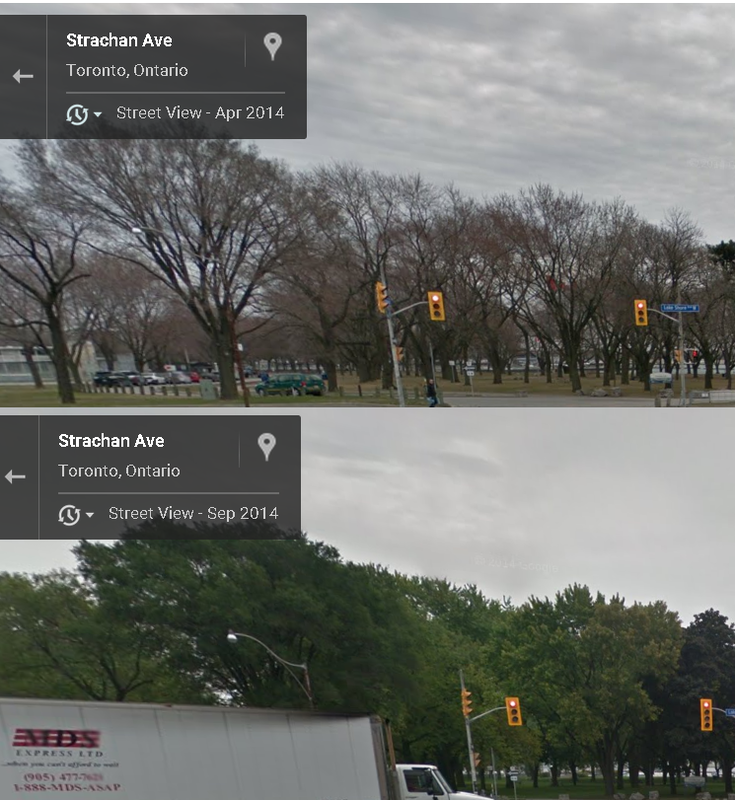 When facing south on Strachan, at Lakeshore, the traffic light grew longer! It now has four lights, which allows a green arrow, for right hand turns without stopping on a red. Every morning on my drive to work, I turned right at this intersection. On a red, I had to come to a full stop, even though sometimes there was a left turn arrow for opposing traffic, and because traffic was turning left, a green arrow on a red light would let me safely make my right on red without stopping. This light was added, because of me sending feedback to my local city Councillor, who forwarded it to his assistant, who forwarded it to a traffic group, who agreed it was a good idea. exit backup on the expressway is dangerous. look at these two items? 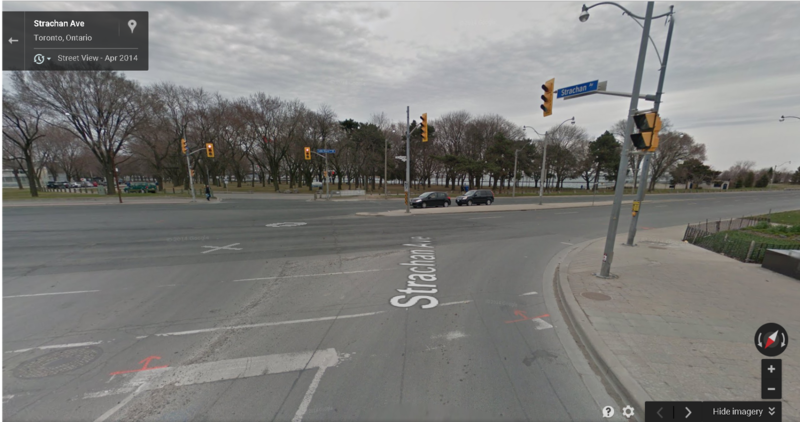 Following up on this concern, I have had staff report back on the feasibility of adjusting the traffic control signals at Strachan and Lakeshore. 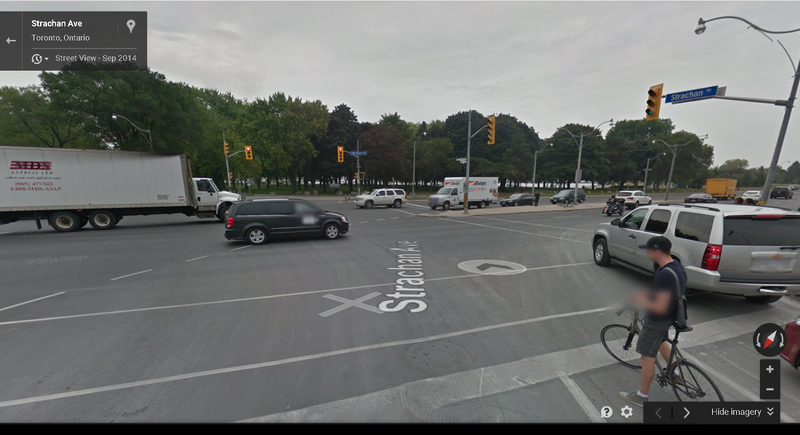 Based on their review, staff have no concerns with providing a concurrent display of a southbound right-turn arrow (SBRA) and the existing eastbound left-turn arrow (EBLA). The SBRA should reduce any excessive delay and queuing due to the heavy SBRT demand without compromising pedestrian safety. An exclusive southbound right-turn lane already exists and allows for right-turn traffic to discharge unimpeded during the SBRA display. This request has been added to the hold list for future implementation. As there is a limited budget for this work to get done, Toronto & East York District Traffic Operations will reviewing and label this change in order of priority for implementation. How soon this can be implemented will depend on this process. Thank you for taking the time to make this suggestion and I will be sure to stay on staff and get a firm commitment as to when this work will occur. For our records, might you be able to share your address with our office? Every morning, on my drive when I was trying to turn right on a red I knew there was a better way. As a "customer" who used this section of road everyday, and knew the timings of the lights, I knew there was a better way. By providing feedback, and following up, I was able to submit an idea for improvement and it was implemented. For the next quarter, as part of Project Feedback, I'm going to be providing feedback on everything I can. The goal with this isn't to get points, or coupons, but simply to have the products and services I use become better and in a tiny way, make everything work better. 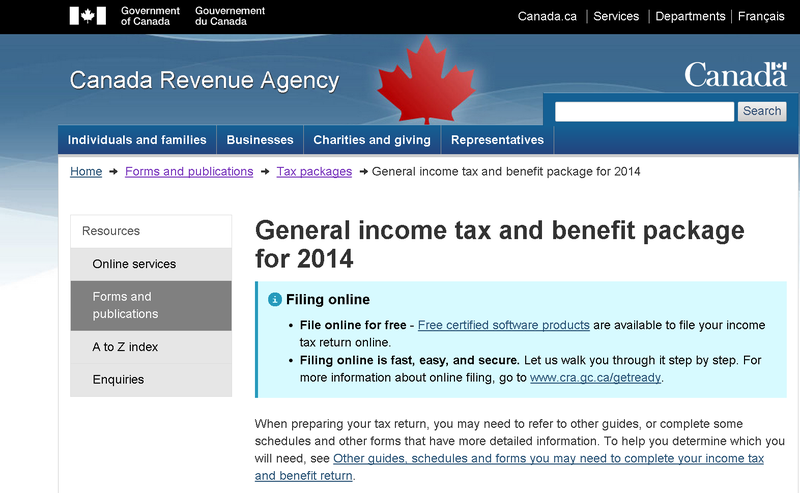 Well, it's tax time again in Canada. There's many ads for different tax preparation firms and software, all advising the "fastest way" to get your tax refund. What if instead of getting a refund, you got your money right away? As you earned it? What if the government simply took less off your pay cheque? By waiting to get your refund, you're missing out on interest, the opportunity to invest that money in stocks, or money you can use to pay down loans. Let's look at two examples: an individual earning $60,000 and one earning $100,000 per year. I used a SimpleTax calculator, and assumed each individual has no children, is age 30, the person lives in Ontario and no other income outside employment income. Let's assume both manage the typically recommended 10% contribution to their RRSP. The $60,000 earner can get that in April 2015, or could get $71 every two weeks through 2014 if less was taken off at the source. Again, the $100,000 earner can get that in April 2015 or could get $166 every two weeks through 2014. Hopefully, right away the idea of $71 or $166 every pay cheque over a year sounds better than waiting until April of the next year. If it doesn't, consider the value of that money if it was invested. 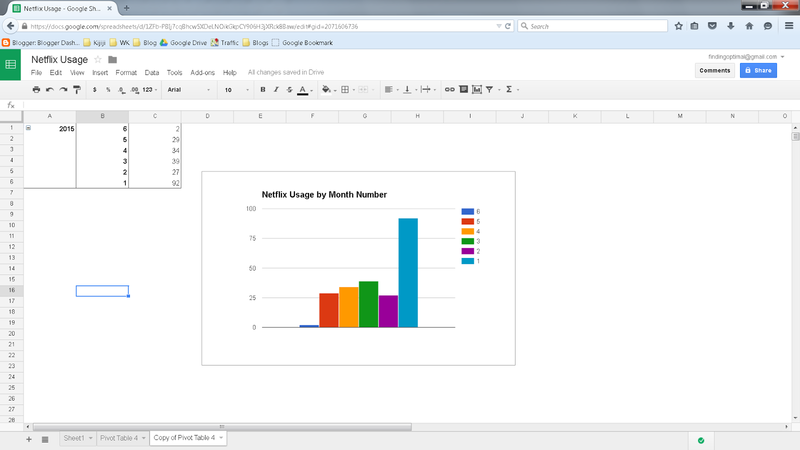 For this, I'm going to rely on some good old GoogleDoc Spreadsheets! For the full spreadsheet, take a look here, but assuming a 7% return, the $60,000 earner, is missing out on $70 per year, and the $100k earner is missing out $160 per year. If you claim you're going to contribute $6,000, make absolutely certain you do. If you say you have no, or $500 of other income, make sure that's an accurate or conservative estimate. If you end up owing a lot of tax because you failed to make your contribution you said you would, or you have lots of other income you forgot about, then you will be in trouble. How Many Things Have You Lent, but Never Got Back? From a very young age, we're talk to share. I can still remember the motto when I was in Beaver's: Sharing Sharing Sharing. Sharing things you don't use very often is great, because often the item can be used much more than you'll use it, without affecting it. The example that gets cited all the time, is a power drill is often only used for 13 minutes in it's lifespan, if only used by one homeowner. What if fewer of us bought a drill, but we shared it? Then we'd all save money. Speaking from personal experience, I moved recently with a dolly I borrowed from my parent's and was amazed at how much it helped. Combining leverage with the wheel, dolly's are great! I borrowed it again to roll some furniture directly home from the store, avoiding the need to rent a van or truck! The dolly is not something I need regularly, nor do I have room to store it. Sharing one with my parent's, who have more storage room and also don't need it frequently, makes perfect sense. What About Money? Would A Business Ever Lend or Borrow Without Tracking It? If you were running a business, would you ever lend or borrow money without tracking it? You wouldn't even think of it! 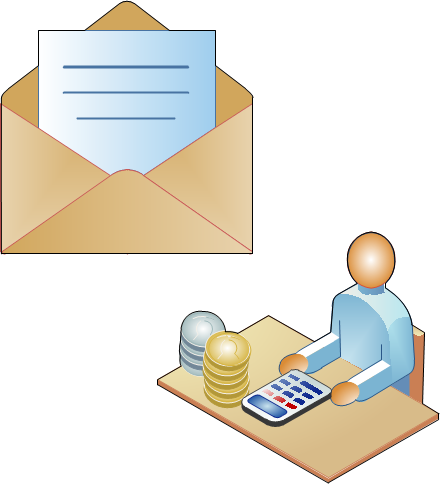 Business's track "Accounts Receiveable" (money that's owed to them) as well as "Accounts Payable" (money they owe). If this is something businesses always track, why don't you track these things in your personal life? How Many Things Have You Lent or Borrowed But Never Gotten Back? The downside to sharing, is when people don't return your stuff! Alternatively, you're a bad "borrower" if you never return items either. By (hopefully just) forgetting to return items you've borrowed, you may be hurting a friendship. Being a bad borrower may also prevent you from taking advantage of future borrowing opportunities, since a lender doesn't want to be burned twice. Clearly, you need to track what you've borrowed, and what you've lent. All borrowed or lent items need a due date on them, so you know when you should return the item, or at least when you should contact the lender to ask for an extension. As a lender, you also want a due date so you remember to ask for the item back. When you record an item as lent or borrowed, you want that record to persist until you've returned the item or received it back - even if the item is overdue. Whatever system you use, is up to you, but Remember The Milk is a great one and what I use. I've created a "Waiting" list, which has all items I'm waiting for. By using "borrowed" and "lent" tags, I can mark an item in the list accordingly. 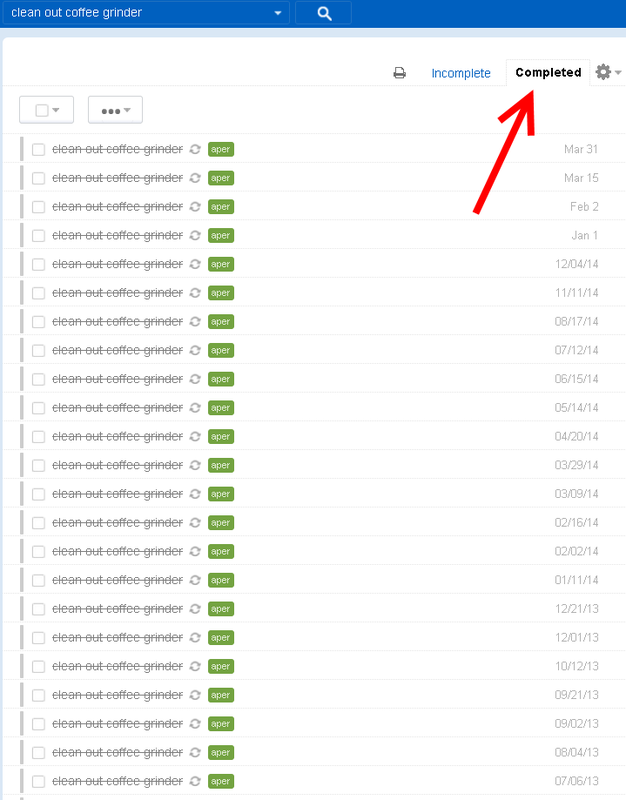 RTM supports due dates, and I have items that are due show up in my daily 000_Today smart list. 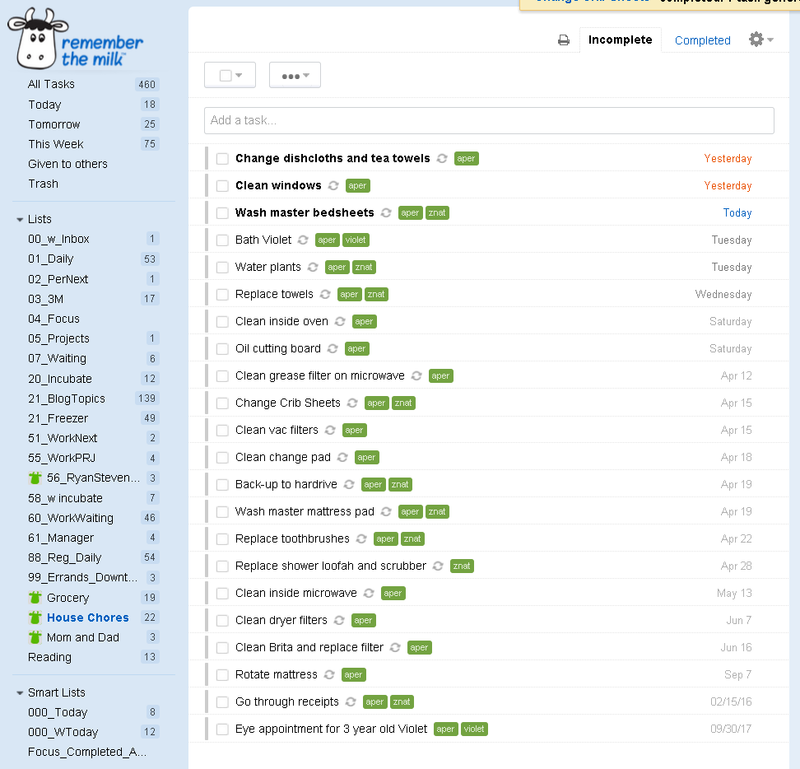 This smart list is my daily life dashboard, and shows any tasks or items that are due that day or that I'm working on. This is part of a Gettings Things Done strategy. I could also tag the items with the name of the person involved, but haven't found that to be required. Whether you move your whole life into a full state of tracking with Getting Things Done, or not is one thing, but I hope you'll agree that borrowed and lent items need to be tracked, in a system you look at on a regular basis. 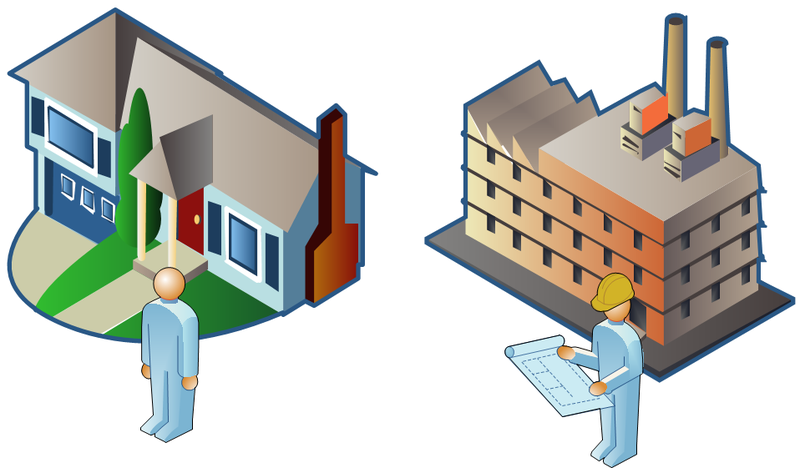 Industry - Has a plan for maintenance, do you at home? Do You Track Preventative Home Maintenance? In my work at manufacturing sites, all plants that are resonably organized do preventative maintenance (PM's). These may be based on time (every 3 months, 6 months), runtime (after a motor runs for 10,000 hours) or use counters (after a packaging machine has processed 100,000 cartons). Doing preventative maintenance is supposed to prevent unplanned equipment failure, and hopefully reduce the total operating cost. Anyone with a car, knows all about this when it comes to oil changes and other maintenance. Most car owners are religious about doing oil changes when they hit the required mileage, or for newer cars when the vehicle reports it's time for maintenance. So now we agree it's important to do PM's, and important to track them, because without tracking them there's no guarantee you've completed them. The next step, is having a system to track them. The last point two points are critical. 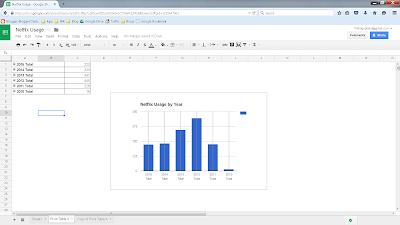 Since RTM is something I use on a daily basis, if a household PM task comes up, I'll see it. 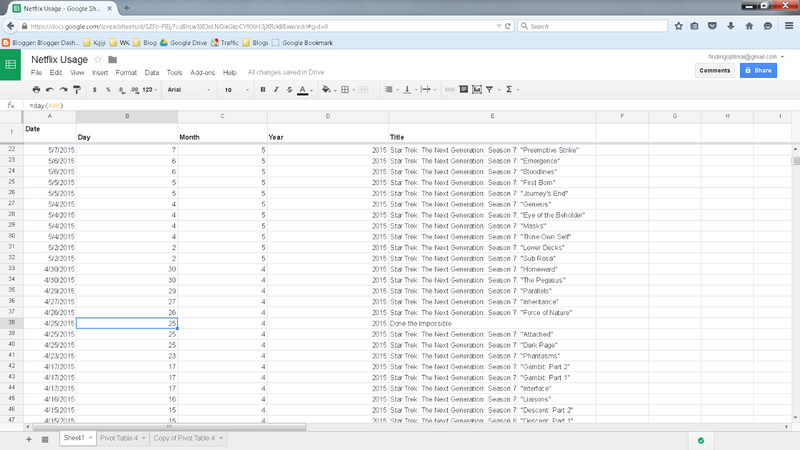 If you find you set RTM up, but since you're only using it for seasonal or infrequent tasks, maybe it's not a good fit. Point #2 is an important reason not to use a calendar. I myself use a calendar and would be lost without it, but if you mark a task on your calendar but don't complete it, you'll never know. A calendar is best for something that occurs at a specific time, and after that time you don't care about it again. 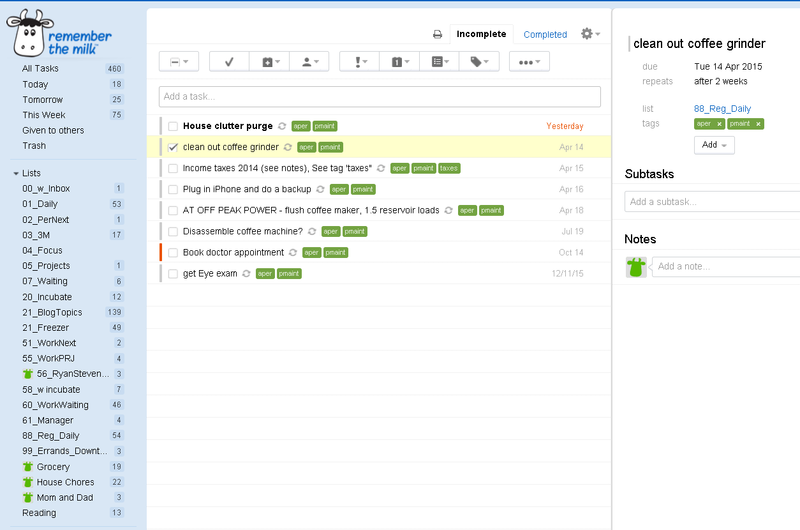 In Remember-The-Milk, you create lists, inside those lists you have tasks. To track house maintenance, and baby maintenance, we have two lists: House Chores and 88_Reg_Daily. House Chores is shared between the two of us. A screenshot of the tasks is listed below. This House Chores list is shared between my wife and I. 88_Reg_Daily is my list (named so that it sorts the way I want in my lists), and is not shared with my wife. As you can see on the selected "Clean Out Coffee Grinder" task, it's set to repeat "after 2 weeks". This means that after the task has been completed, a new task with the same name is created and is due in 2 weeks. The key parts of this that are useful, are "... AND NOT tag: znat". Items that are tagged znat in the House Chores, do not show up in my 000_Today list. This means tasks that I don't do, like watering the plants, don't show up as due or overdue for me. This way, my wife and I can share a list, but also mark who is responsible for doing certain tasks. Shared tasks like this are great for house maintenance, but also health related tasks. I have a task on my own list to go see a doctor annually. My wife and I have a task to setup an eye appointment when our daughter is old enough, after that initial appointment we can set future tasks to repeat on the required frequency. If you read the manual on your appliances, you may find many of them require maintenance. As you can see from the lists, my coffee grinder manual recommends cleaning with a wire brush every 2 weeks, and the espresso pump requires flushing one reservoir of water regularly. Hopefully, by following these recommended manufacturer guidelines, the appliances will last longer and perform better. Scrolling down, I see grinder cleaning history back to October 27, 2012, over 3 years ago! If/when I decided to sell the grinder, I can provide a printout of the maintenance history of it. This also let's you easily see when I last did the task. If it's something that you might postphone like getting an eye test, now you can at least see when your last appointment was when you go to reschedule. I know, it's not an earth shattering idea, but it happens. While there are many reasons that people are late (family, work, poor transit, traffic, zombie apocalypse), none of these reasons give back the time you lose if you happen to be the one that is on-time. As a FindingOptimal reader, you are likely one of those people who strive to, and for the most part are, on time. By bringing a book with you, perhaps in a satchel, you can gain valuable reading time. As a real world example, I was meeting some friends in a pub and showed up 2 minutes late. My other friends were 20 minutes late. While it may not have been "cool", the first friend to show up assured me it was not, I gained 18 minutes of reading time and had something to do. When was the last time you read something? And learned something? Is it because you don't feel like you have the time? How much idle or dead time do you have waiting to meet friends or family? How much time have you spent waiting in dentist/doctor or professional offices? What about when getting your drivers licence renewed? Do you have to visit clients at work? How often are you early because you allow time so there's no chance you're late? What are you doing with that dead time? Why not gain that time back, for something more serious than angry birds on your phone! Confucius says "Choose a job you love, and you will never have to work a day in your life.". Forbes can provide Six Tips for Turning Your Hobby Into Your Job. Looking at Google Search history for "Find Your Passion", shows a steady increase. Following your passion might be a great idea, and it might not. Your passion might not be something that lets you earn the amount of money you and your family need right now. Your passion also might not be something you can pursue without going back to school, or moving, and both of those take time. There's also risk in moving somewhere, or trying a new career. What if you aren't any good at it? More to the point, finding what your actual passion is, and then finding a way to "follow" it can take years. What if you never really "find" your passion anyways? Does that mean you're obliged to stay "stuck" until you can perfectly plan your passion? What if I told you, someone will pay you at your current rate, to be at a new passion? All you have to do, is change your passion to be what your current job is! While this sounds silly, it isn't. Through mind-over-matter, you can certainly re-engage and start to love your current job more than you did before. There must be some reason you're doing what you're doing, reconnect with that original interest. Speaking from personal experience, it's very difficult to keep momentum going when learning skills that have nothing to do with your work. Whenever you get busy, or stop temporarily, you're losing those skills. It's also hard to stay motiviated, because sometimes it's hard to get over the initial hump from unskilled to at least novice/adequate. On the other hand, if you're learning things outside of work, that you directly use at work, it's so much easier. Instead of spending time learning the basics, you're learning mastery or advanced topics. It's also a lot easier to stay motivated, because what you're learning can hopefully be very quickly implemented. Making a concious decision to make your current work your work passion, and you're already spending 40 hours a week being paid to do your passion. Spending your own time outside of work, furthering your passion craft skills let's you move to mastery in your paid employment. What are the obvious next steps? Are there industry trade magazines you're not reading? Training from vendors and suppliers? Improvement initiative ideas you have for work but haven't thought through fully then make a plan and follow through! Re-engage and commit to enjoying yourself, and you very likely will. 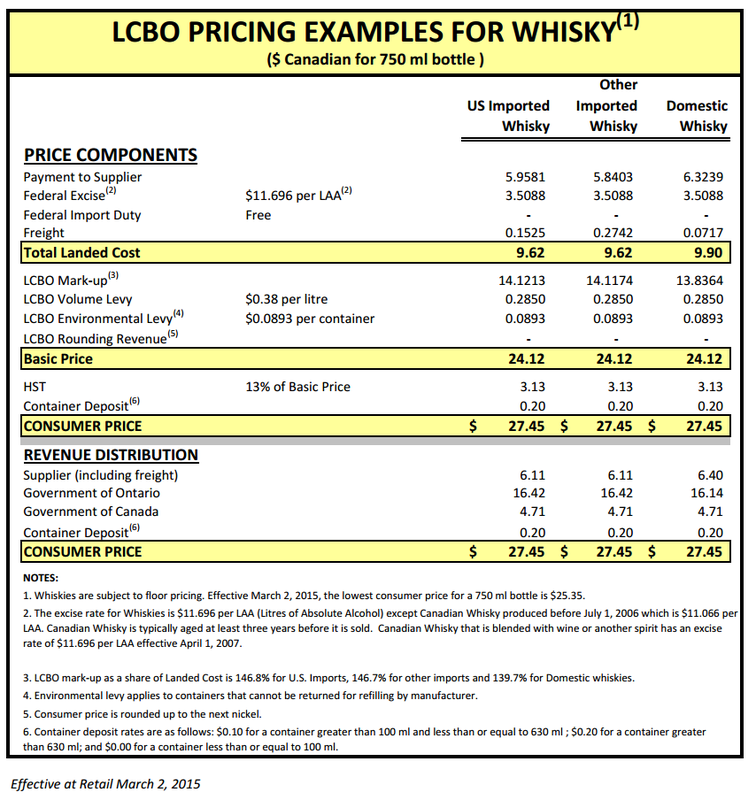 Do You Know How Your Liquor Monopoly Prices Things? This is a very Ontario-centric article, but the same is likely true in any state with a government run monopoly that sells any one particular product. Everyone knows monopoly's are bad and hurt consumers... except so many seem to be tolerated. Many of us see stickers at the gas pump that explain the makeup of prices, but do you really know why alcohol costs what it does? So, $6.11 goes to the supplier, but the price is $27.45. While any retailer is going to charge a markup from the manufacturer, a government monopoly that charges a 140+% markup is realistically like a tax than paying a .markup to a retailer. Comparing Duty Free Express' price Knob Creek Kentucky Straight Bourbon - 1L is $28 USD. Looking at the LCBO, it's $46.95 CAD, for 750mL, or $62.60 CAD for 1L. So clearly, there's a lot of tax going on here. 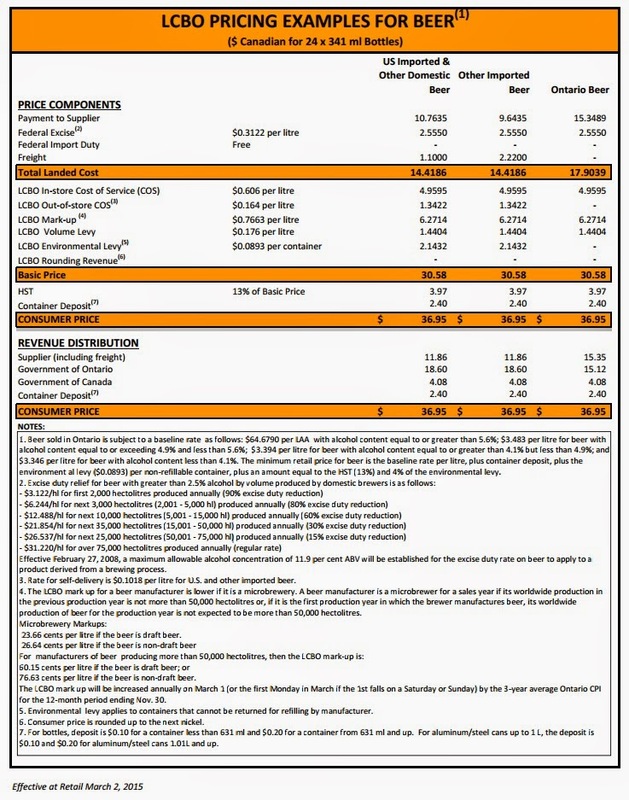 Even crazier than that, if Duty Free Express sold a 750mL bottle it would be $21, this is actually lower than the "floor pricing" referred to in footnote 1, which is in place to protect you from yourself. Best practice is to convert your alcohol consumption to spirits which have higher density, and are more easily purchased at duty free airport stores. When you buy alcohol under a government monopoly, you are voluntarily paying more taxes. At the very least, when you're at a duty free store, use your smartphone to see how ridculous the prices are at home, and try to comparison shop when you can escape from the monopoly. Justifying an expense coffee machine... it's payback time! A Seattle Times article about the rise of single cup brewers, Single-serve coffee revolution brews industry change, states 1 in 5 Americans are using Single Serve brewing machines like Tassimo, or K-Cups. These machines are convenient, fast, and reduce waste by allowing you to only make as much coffee as you need. The ability to quickly switch between different drinks (espresso, bold, vanilla hazel nut, tea, decafe) is also a strong differentiator between these machines an other alternative ways of making coffee. What If I Want Something Fancier? While single cup pod machines that cost $100-$200 are good, there is a whole world of $600-$4,000 fully automatic machines that take whole beans, grind them and turn them into coffee. One example, a $1000 Jura fully automatic machine. At the push of a button, these machines take whole beans and make coffee or espresso. Some of the fancier models allow settings to control the drink strength, and even better, have internal counters for statistics like how many cups they've made! While most people would consider $1000 an outrageous amount of money for a coffee machine, through the power of math, I will convince you this is not true and these machines are comparable to pod machines. Coffee consumption is 1 cup per weekday, 3 cups on a weekend = 11 cups per week. This is rather low for a household, but is what my consumption is currently at. Whole bean coffee is $15.99 / KG. I've seen it at my local grocery store as low as $10/KG for Lavazza Rossi, although I often buy one that is $30 per KG Gran Orno and delicious. .
Pod coffee are $0.54 per pod. Maintenance on either machine ($100 pod machine or $1000 whole bean super-automatic) is not required. Excluding cost of cleaning kits for a fully automatic machine, since any nominal cleaning cost would be made up for by superior taste. So a $600 machine has payback in 3 years. A $1000 machine pays back in 5 years. If your consumption is more than 11 per week, then the payback is even faster. If you have 22 coffees a week, your payback on a $600 machine drops to a very reasonable 1.5 years. The primary advantage of a pod machine, is the ability to make a variety of different drinks. If you're always making the same drink, namely one variety of coffee that isn't flavoured, then for a comparable cost you can have an automatic grinding machine which freshly grinds beans and makes coffee or espresso at the push of a button. Wine - Why are you using thousand year old packaging technology? A Taxing Issue - 591 mL Water bottles? Finding Optimal is me! My name is David G. McKenna and I'm looking for practical solutions to everyday household problems. I look for inspiration from the world of business, engineering, science, and anywhere else. I'm always looking for reading suggestions, and best practices.